A lot of people have questions regarding which vaccinations they need to receive prior to traveling. This is a vast topic and it would be impossible to answer this question in a single blog post. Vaccination requirements and recommendations vary by country and even regions within a country. The best place to start when planing a trip is the CDCs Destination list. 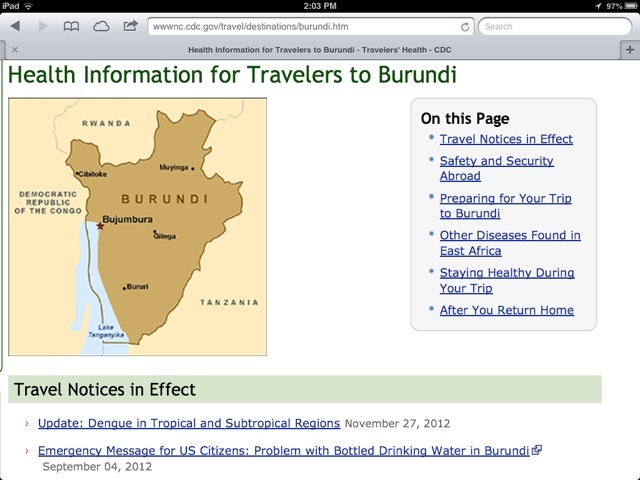 This site lists country specific recommendations for vaccinations and other health related travel concerns. The site lists both recommendations and requirements. Some countries require proof of vaccination prior to entering the country. It is recommended that you begin researching these requirements as soon as possible, as some vaccinations must be administered a certain amount of time prior to travel in order for them to be effective. Typhoid for example should be administered >2 weeks before departure and hepatitis B is given in several doses over a period of months. Malaria is another important consideration when traveling abroad. Malaria is a parasite that lives in your red blood cells. It is spread by the bite of the Anopheles mosquito. Unlike the vaccines discussed above malaria prevention is accomplished with the use of prophylactic antimalarial medications. 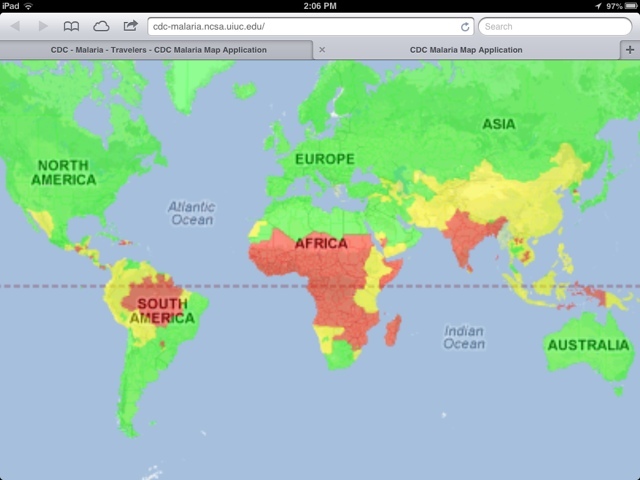 The CDC website offers a Malaria Map tool which gives the prevalence of malaria as well as the specific species of malaria that is endemic to that area. The specific antimalarial medication you are started on will depend on the local species prevalence as well as resistance patterns in that area. If traveling to an area where malaria is common, it is important that you obtain antimalarial medications prior to departure and that you take it as directed by your doctor. The WHO also has a pdf file of required vaccinations. This list is up to date as of time of publication of this post, but requirements may change. Disclaimer: Information here is my personal opinion and shouldn't be taken as medical advice. Remember, it is your responsibility to determine the vaccination requirements and recommendations of each country you will visit. It is advisable to schedule an appointment with your primary care physician prior to departure to have a pre travel medical screening as well as to discuss vaccinations. There are some contraindications to vaccine administration (such as immunocompromized state) that you must discuss with your doctor. Some vaccines also carry the risk of adverse reactions. Please discuss these risks with your doctor.